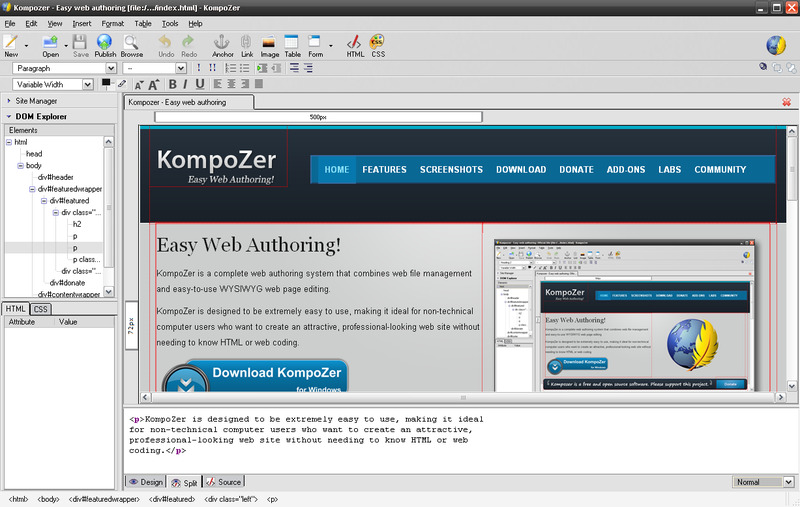 Kompozer is an open source WYSIWYG HTML editor. It's basen on discontinued Nvu editor. The only regular developer said in June 2011 that development "is stalled at the moment", so it's not actively developed since March 2010. What is your favorite KompoZer hotkey? Do you have any useful tips for program? Let other users know below.